Don’t be daft, you’re only young, you’ll be fine. Get a steak and a Bloody Mary down you and you’ll feel good as new. I wouldn’t say we’re unlucky, we did just win our past two openers with very fortuitous openers, and own goal and a fluke. We’ll win, and it won’t be down to luck, it will be beavause we control the game. I had good feeling against our scum neighbours too.. But.. I've got a good feeling we will win this, 3-1 to us. I've seen nothing from us in the last few weeks or so to suggest we might get something from this game. 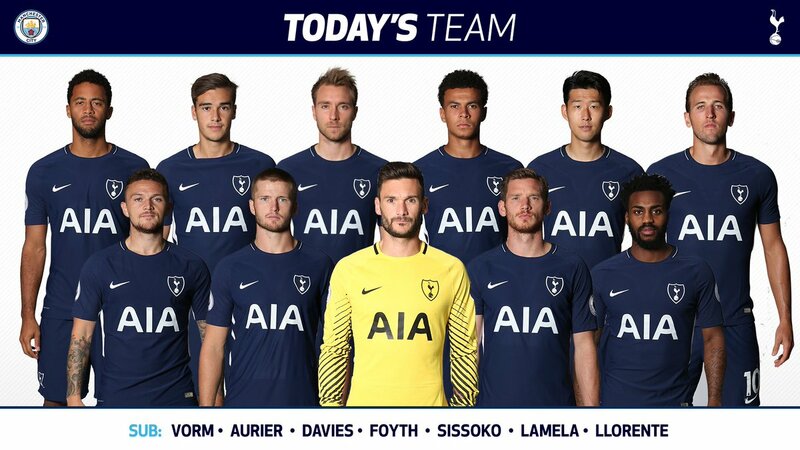 I'm hoping that Poch sets us up well to try and counter Citeh. A no pressure game. Just dont want to get bummed. I am expecting alot of verbal diarrhea from McMannaman, regardless of what we see on the pitch. Yeah countering City wont work. As proven by every other game they've played. Im not sure why people constantly bring this up. Yeah, we got 4 points off Madrid with the counter attack. So? This isnt Madrid. This is City. City have beaten every other counter attack this season. Pep Guardiola managed sides struggle against Mauricio Pochettino's press. Pep Guardiola is currently City's manager. Mauricio Pochettino is currently our manager. And here we are thinking we should play on the counter today. All got their headphones in apart from Hugo, the Boss. Just want Alli to play simple football today. Please. No David Silva. That’s really good news for us. 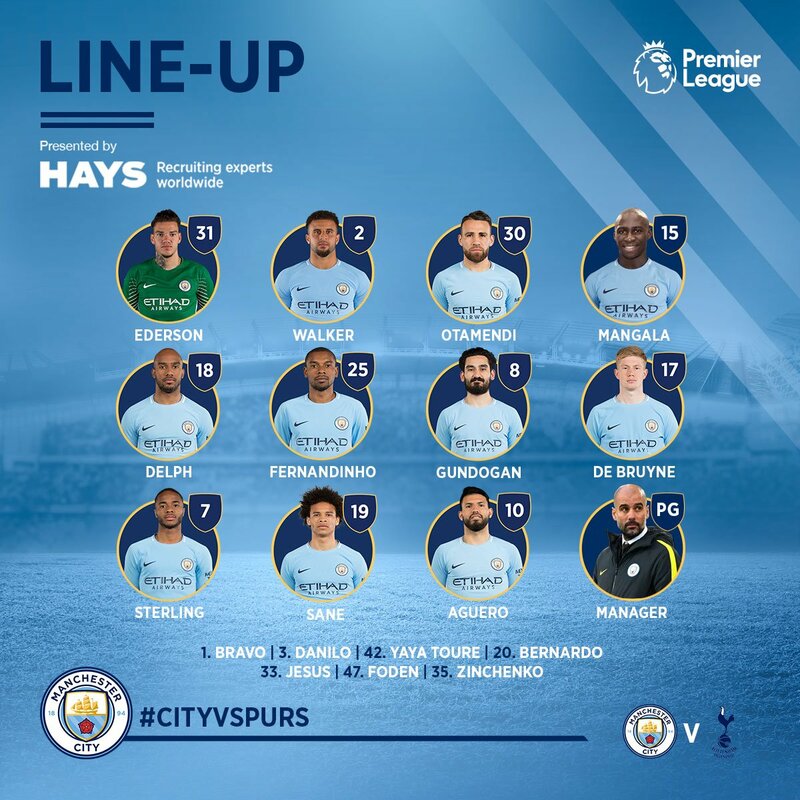 No David Silva in squad. Looking at their starting lineup I think we've got a chance today. Work very hard and don't make any stupid errors because Mangala will give us chances at some point. Silva is a big blow to them, try to expose Delph. Nervous. Expected Jesus to play, but Aguero is a nightmare as well.